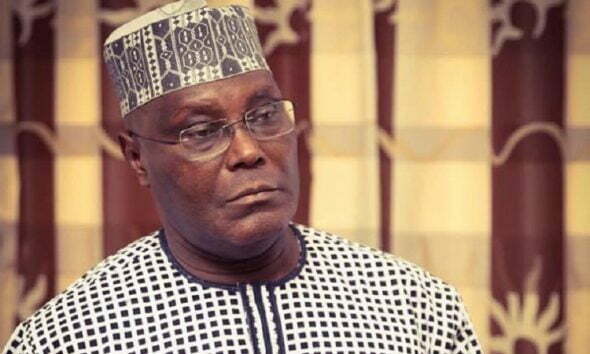 The Anambra State Government has washed its hand off the Thursdayâ€™s endorsement of the presidential candidate of the Peoples Democratic Party, PDP, Alhaji Atiku Abubakar. DAILY POST earlier reported that Atiku was endorsed during Imeobi, a meeting of the highest decision making body of Ohanaeze, the apex socio-cultural organization of Ndigbo. Some of the reasons for the endorsement included Atikuâ€™s promise on restructuring and his choice of Mr. Peter Obi as his running mate. Obi is the immediate past Governor of Anambra State. However, addressing a press conference late Thursday night, the Secretary to the Anambra State Government, Prof Solo Chukwulobelu, who led a delegation of the State to the Imeobi, said they were not part of the exercise. He described the development as a divisive trajectory capable of destabilizing Ndigbo. While faulting Atikuâ€™s endorsement, he said â€œin compliance with the directive by the Anambra State Governor, Chief Willie Obiano, a delegation of the Anambra State Government arrived at Nike Lake Hotel in Enugu early enough to participate in the meeting of Ime Obi of Ohaneze Ndigbo scheduled to start at 7pm, as agreed on by the Chairman of the South East Governors Forum, Engr Dave Umahi, and the President General of Ohaneze, Chief John Nnia Nwodo. He added that â€œwe are, indeed, surprised that the Ime Obi meeting could hold today of all days. We had expected Ohaneze leaders to participate actively in the commissioning ceremony of the Zik Mausoleum, Onitsha, Anambra State. The Mausoleum, which was started by the General sani Abacha government, took a whole 23 years to complete. â€œWe have read bits of the communiquÃ© purportedly issued by the Ohaneze leadership. We regret that they do not reflect the position of the people and Government of Anambra State. â€œThe position of the Anambra State Government is that Ohaneze should remain a united organization umbrella for all Ndigbo, and should not take sides with any party. There are major leaders in all political parties, including the three major ones in Nigeria, namely, APGA, APC and PDP.